Incredible new home under construction in the Tanglewood development! 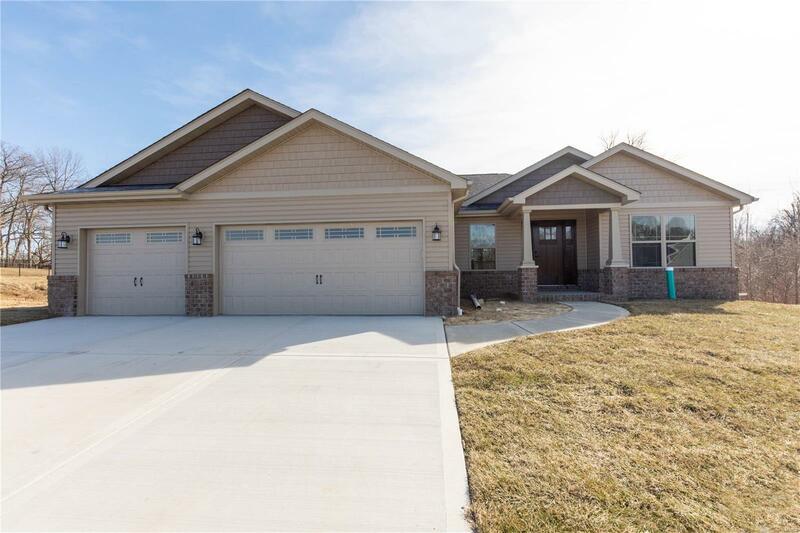 This ~1680 square foot ranch with a walk out basement still has time for you to customize some options! Open floor plan concept wt vaulted living room with custom built bookshelves along the wall (fireplace is optional) also featuring engineered hardwood is open to the eat in kitchen with large center island. Luxury master suite is sure to please with huge walk in closet, and gorgeous master bath with double vanity, walk in shower, linen closet and private water closet. Split bedroom floor plan has two additional generous sized bedrooms on the opposite side of the house with a nice full bath in between. Lower level has plenty of space for you to finish and nice concrete patio. 3 car garage and front with brick & stone accents. Call us today and you still have time to pick out some of the interior finishes.